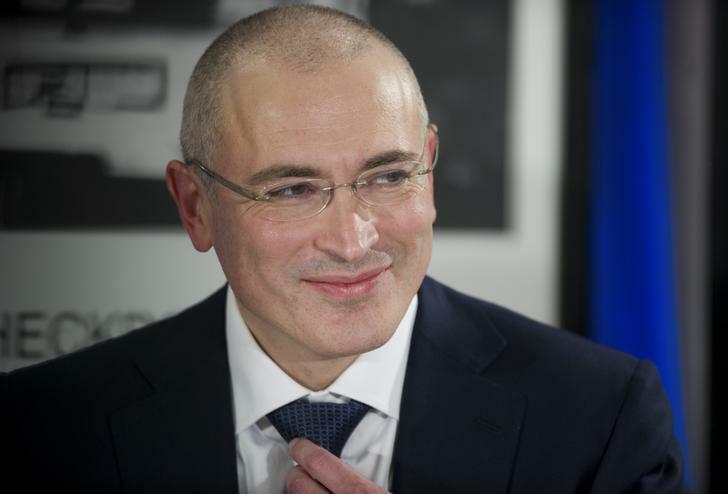 The Hague’s arbitration court ordered Russia to pay $50 bln to the expropriated oil group’s former shareholders. Moscow will appeal, but could lose again. It will then have to either blow a hole in public finances or ignore the penalty – and spend years in debtors’ hell. Freed Russian former oil tycoon Mikhail Khodorkovsky reacts during his news conference in the Museum Haus am Checkpoint Charlie in Berlin, December 22, 2013. The Hague’s arbitration court ruled on July 18 that Russia should pay $50 billion to a group of shareholders in former oil giant Yukos. In a decision made public on July 28, the three-member panel of the Permanent Court of Arbitration, which has been reviewing the case since 2005, ruled that Russian officials under President Vladimir Putin had manipulated the legal system to bankrupt Yukos.